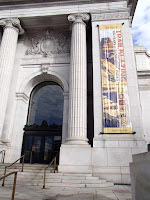 I thought it had been awhile since we visited the National Postal Museum as we probably hadn't gone since moving to D.C. in 2013, but Mik then thought it hadn't been since I went to American University for a semester in 2006. While I definitely have been since then, it really may have been that long ago for him considering it seems we never have posted about it on this blog. 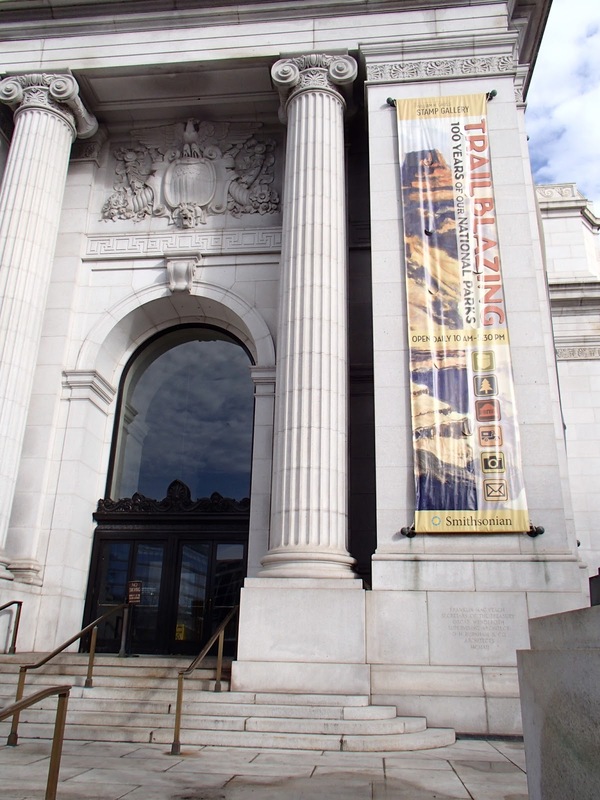 Also, last we remember the museum was all on the lower level and the exhibit space on the level you enter apparently has been there since September 2013. Despite the museum now at least partially existing on the level you enter, it still remains the most awkward of the Smithsonian museums to enter because it also an active post office building, which makes it a government building with security you actually go through versus the Smithsonian museums often just checking bags. While I ignored Mik pointing out the accessible entrance for the actual post office, I did find out that in fact you can go through there to get into the building for the museum, although it seems easier to just use the entrance we always use on 1st Street. 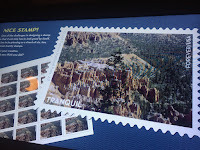 Our focus for this visit was the temporary exhibit "Trailblazing: 100 Years of Our National Parks," but we also spent some time exploring the permanent exhibits in the William H. Gross Stamp Gallery since that exhibit space was all new to us, although to some extent it seemed to be just a refresh of exhibits that used to be downstairs. Overall we really liked the area and even enjoyed the interactive parts, although Mik couldn't really use them on his own. 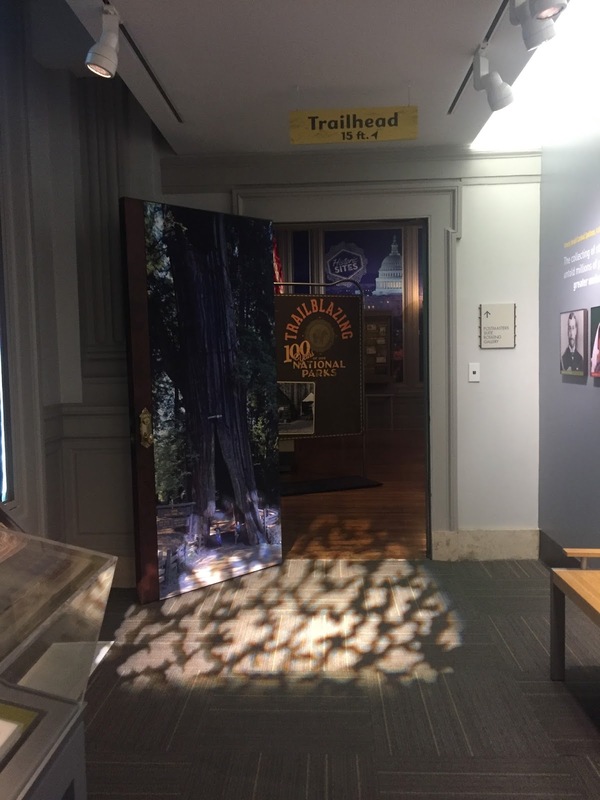 Of course, the "Trailblazing: 100 Years of Our National Parks" exhibit did end up being our favorite. 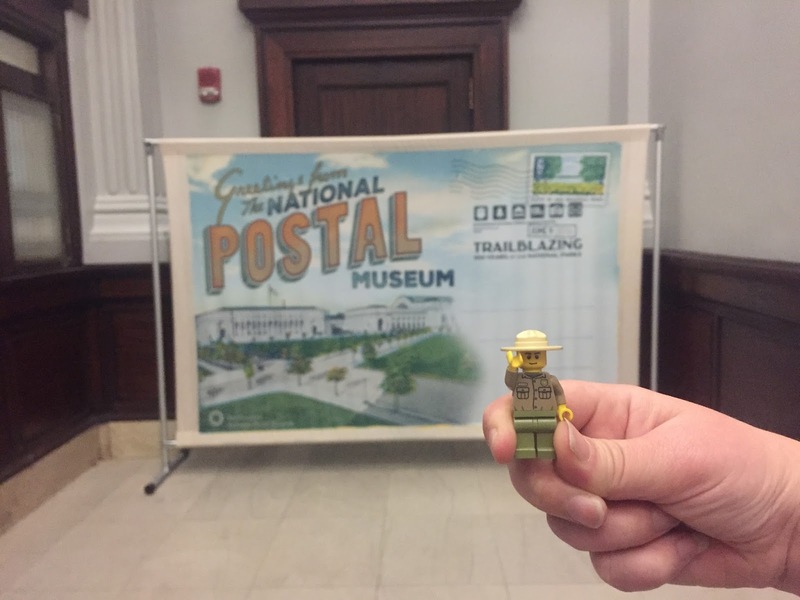 The layout was interesting with it having different display cases about the various types of national park units including National Historical Parks, National Seashores, and obviously actual National Parks. 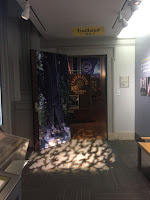 We also enjoyed experiencing the old postmaster's suite, which is an area they now use as temporary exhibit space. 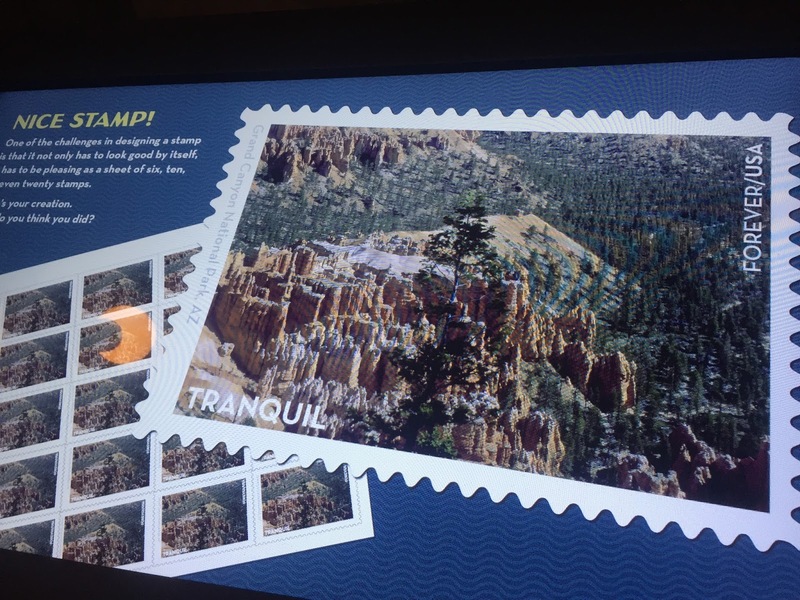 The interactive part of making your own national park stamp was particularly fun as you even got to crop the photo, but we were disappointed you couldn't email it yourself like you could the stamp collection in the permanent exhibit area.